I have finally decided that I want one. I have been browsing their site & I think I am going to go for a classic brown with my initials embossed in gold. I'm not usually a ring lover, love looking at them but usually I find they annoy me & end up taking them off but I love the colour of this ring. I adore sweaters in these crisp cold months & I am loving this one from River Island right now. They make the comfiest jumpers. I love my wellies. They are a nessesity in Wales. Brilliant for Guy Fawkes night standing in a muddy field watching fireworks & eating pumpkin soup! I mentioned in another wish list that I wanted a library scented candle & I still haven't gotten round to purchasing yet when I found a Library scented diffuser. Safe to say I still want the candle & this one! I love Lomograpghy & although I have instagram, I still love having a lomo camera & this one is pretty cute! I'm a sucker for geodes & amathyst is my favourite crystal. I loved these Orchid Pendants! I saw this hat whilst I was shopping the other day & I didn't buy it, totally regretting it as its all I can think about! It has some gorgeous colours! Hope everyone is keeping warm! It's freezing here! I'm so loving the Cambridge satchel too. By the way, it is on sale right now on Nordstrom. 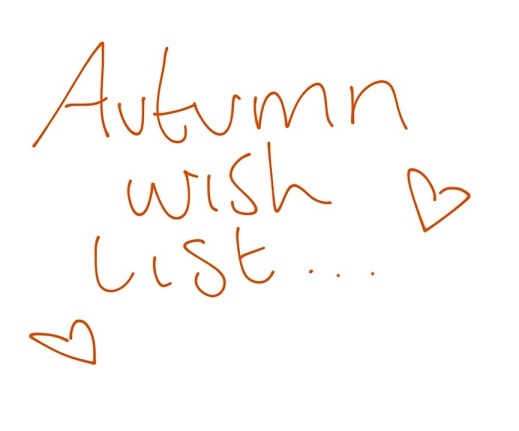 My autumn wishlist is quite similar. 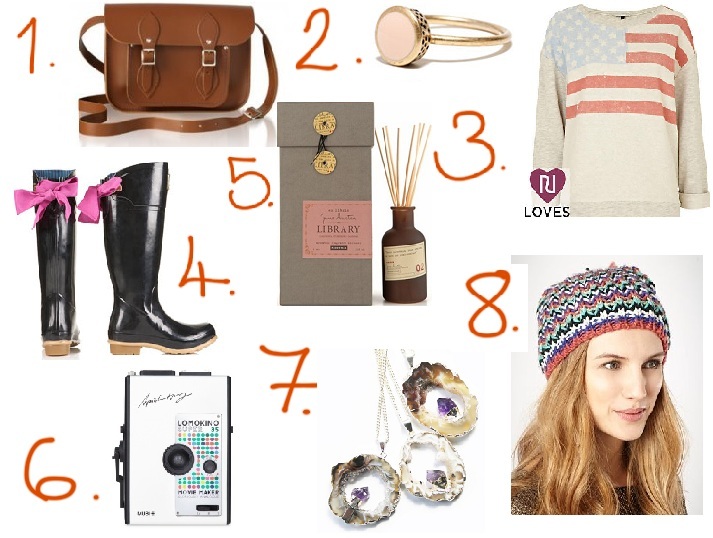 New bag, boots, warm jumper and some really nice smells for a diffuser! That Madewell ring is so cute! I'm the same way with rings though. Love em, but never end up wearing them! I want those Cambridge satchels, too. Follow you back on bloglovin #37. Gorgeous selection! Hope that you will make all these wishes come true. I love that ring and I am such a fan of room diffusers! yessss. that sweater rules. especially in light of the election. I've seen that bag floating around in the blogosphere lately, and theres a reason why. It's adorable and functional but isn't too girly at all. I hope you get the bag! Such a gorgeous outfit! Would you mind taking a moment to check out my new shop? Loving your picks! Adore the RI sweater. go for the satchel, i have the brown one in 14 inches and use it for school, at first people were like 'eurrgh' and then they saw the advert and went 'ooh' imogen's stylish. Oh my! Those wellingtons are amazing! So cute! !